What bugs me out every time is when a critic goes crazy about a movie that was released so many years ago. I don’t care that it was wildly famous back then, I wasn’t even born yet, does it look like I have a time machine?! *exhales* So most of that was a little over dramatic, but the fact of the matte is a lot of critics do focus on this fact. Dr. No must have been wildly famous because we’re still getting sequels today. I get that. 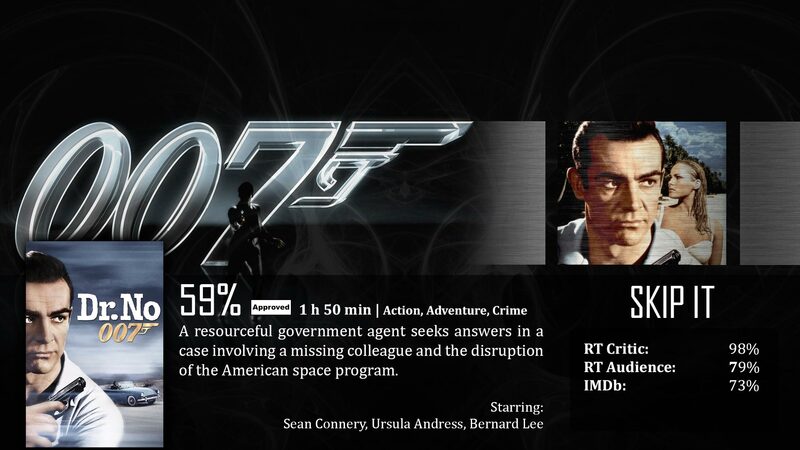 It is 007, I get that, but what worked for an audience in 1962 doesn’t work for a modern audience in 2013. Let’s be honest, it was boring. Before you think I’m a horrible critic, let me first say that I can appreciate those things mentioned above, but appreciation doesn’t factor into my score. Today, we have a pretty easy-to-understand plot, even if it is a little weird and out-of-place for a James Bond flick. In this plot, we have James Bond, who is ordered to find out what happened to a colleague of his, who was in fact killed. The murder had something to do with a mad scientist named Dr. No who was, of course, planning to take over the world. How can the plot be out of place if it’s the first movie? Well, I’m glad you asked. There is 24 James Bond movies, just like anything else made enough times, a pattern starts to arise – which then turns into an expectation. James Bond is a household name, he’s that cool spy you’ve heard of since you were this little thing, and he’s the person you wanted to grow up to be with the cool gadgets, cars, and women. More often than not, that’s the image he protruded, and I couldn’t see that image in Dr. No. I get it that this was Sean Connery, and the first James Bond film, but I didn’t feel James Bond in there at all. I felt like…Detective Bond or something, but that’s about it. Sure, they had the theme song, blood down the barrel of a gun, Bond girls, and the line – “Bond, James Bond”, which felt more like the side pieces in the puzzle put together, the rest of the pieces were nowhere to be seen, though. What I look for in James Bond is action, violence, and the overall feeling of being a spy. If that means gadgets, give the man gadgets. Daniel Craig never really needed gadgets in order to make you feel that he was a secret agent, maybe that’s why I love his character. That, and his build is somewhat similar to Sean Connery, especially in the face. All I want to feel is that this guy is a spy. That makes him cool. Then there’s the violence, I was also disappointed there. Those gun shots sounded like…I don’t know, door knocks? Maybe two hollow logs hitting one another. Other than that, there wasn’t really any explosions, races, or running around as you’d typically find in James Bond. You know, stuff you stereotypically call a “guy” movie. The only reason to call this one a guy movie is the floozy Bond girl that walks around the entire time half naked. Dr. No may be James Bond, but it has a long way to go before it feels like James Bond. I couldn’t see any kids dressing up as Bond yet, because to me, his character and this movie as a whole was flat-out boring. I get that in 1962 he must have been really amazing, but as it was, a modern audience just won’t feel the same way. There were a few scenes here and there that I caught that were very memorable. Scenes that other movies pay tribute to, even today still. That’s pretty cool, but it doesn’t save the movie overall. I didn’t sense James Bond. 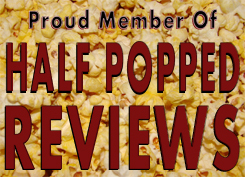 Never forget that I review for a modern audience with modern expectations. There are memorable scenes here and there, but as for the spirit of 007, I didn’t feel it.